This practical skills article goes far beyond use in global missions. 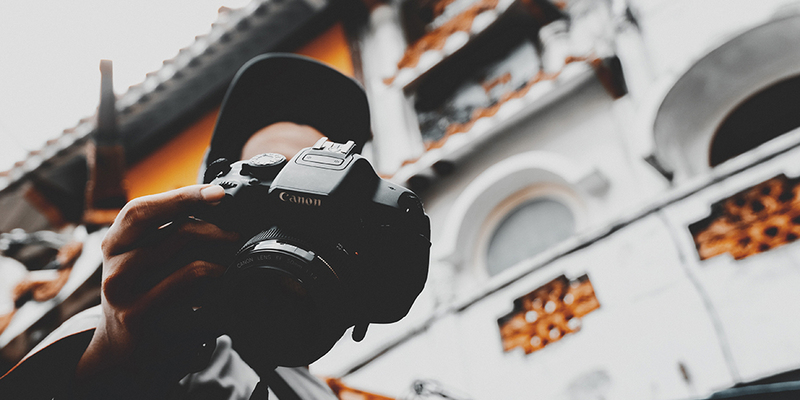 Try Anna's photography pro-tips for shooting better pics for your website, capturing church-plant interest, at your next community outreach, or family party. Free resources for tweaking your photos also included! Equipping churches to participate in God's global mission. If you’re not a photographer, you may have had the disappointing experience of discovering that the photos you snapped on a trip abroad turned out any number of ways: dark and grainy, overexposed, oddly angled, or they simply failed to capture the spirit of a particular moment. The truth is that even professional photographers have had those experiences! Any combination of low-light, moving people, inhospitable conditions, direct sun, or other obstacles can really put a damper on your photo-taking confidence – but don’t be discouraged! First, let’s take a step back. Before you even hit your camera’s ON button, there are a few things to consider that can significantly improve your photo-taking skills! The word “photography” in Latin means “drawing with light,” so, as you can imagine, this is the first and most essential element to a good photo. So, what should you know about light? Use The Auto Setting | The simplest way to achieve a properly lit photo with your camera/device when you’re not an expert is to leave it on the “auto” setting. It may sound dull, but sticking with the camera’s intuition will result in fewer light errors. If you are using a smartphone, always tap the desired focus point on your screen prior to taking the photo so the phone adjusts the light to your subject. In High Light | It is common for people to think the need for good light equals the need for direct sunlight on their subject. Even with your camera’s setting on auto, direct sunlight will often “blow out” the subject in your image and cause overexposure. If you can, find shaded areas with more diffused light. Cloudy days typically also provide excellent light balance. In Low Light | Too little light will inevitably leave your subject dark and undefined. This can be a challenge when you’re photographing indoors in ambient settings. In the case of low light, you will likely need to use your flash. A flash tends to emit a high amount of light at once to illuminate your subject, but often appears harsh on the subject. If you are up for an easy DIY, try finding a piece of white cloth or a coffee filter and secure it over your flash to diffuse the light. Ideal Light | You may have heard that the hour before sunset is also known as “the golden hour.” Take advantage of this time outdoors as it is when sun’s light casts a soft, golden glow on everything. Rule Of Thirds | Second to light, composition will define your image most. Your natural inclination when photographing people might be to place your subject directly in the center of your camera’s viewfinder, but your image will be far more compelling if you follow the “rule of thirds.” This is one of the most basic rules in photography. Look through your camera viewfinder and divide it into nine equal rectangles – three across and three down (think tic-tac-toe board). Your camera might already display this grid for you. Next, make sure your subject is off center, along the intersection of one or more of these lines. This creates more interest in your photo. Other Rules | There are many other rules of composition that can help guide your photograph. If you’re interested in reading up on more of these, click here. Awareness Protocol | You may have already intuited this, but when on a missions trip (or any trip abroad for that matter), there are some contexts in which taking a photo could be considered intrusive, offensive, embarrassing, and/or display a lack of sensitivity. It’s important to be aware of this when capturing your trip. Honoring your hosts, their space, their culture, and respecting those in their community are far more important than the photo itself. Ask your host or a team leader if photography is permitted in the moment. Politely ask or gesture to individuals for permission to take their photo – and do not take offense if they say no. Honor the moment and do your best to discern if taking a photo will be disruptive or inappropriate. Whenever possible, get permission from people to take their pictures. CRITICAL: Never photograph anyone or anything that could put the people or community in danger (for instance, in closed nations like China or Muslim countries). Be sure you have verified what’s appropriate in your location’s context. As much as you can, take your camera with you everywhere! Although you might not even take it out of your bag, the key is that you are ready for any moment that comes. As a photographer friend of mine suggests, invite the Holy Spirit into your photo-taking. Ask the Lord what He wants to show you and what He is doing – whether at the dinner table, during a prayer meeting, walking through a city, or sitting in a church service. These few tips should get your photo-taking off to a good start. We look forward to receiving your photos. Bless you as you document the great things God is doing wherever He may send you! In this app, you can crop/rotate/straighten images, adjust shadows and highlights, autocorrect lighting, fix red-eye, remove blemishes, and more. This app will help you doctor-up basic elements of a photo that might need some help. To download Photoshop Express to your smartphone, click here for either iPhone or Android. For instructions and FAQs on how to use Photoshop Express, click here. In this app, you can crop/rotate/straighten images, adjust shadows and highlights, add subtle photo filters, and more. This app will give your images a more finished, professional look. To download VSCO to your smartphone, click here for either iPhone or Android. For instructions on how to use VSCO, click here. Uploading photos to your laptop/tablet and need a reliable editing app? Check your computer’s default photo library! Typically, programs like iPhoto (Mac) will allow you to crop/rotate/straighten images, adjust shadows and highlights, autocorrect lighting, fix red-eye, remove blemishes, and more. Anna Wilt currently lives in Nashville, Tennessee and works as the Communications Assistant for Vineyard USA. Following earning her B.A. 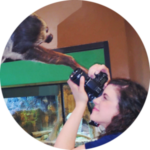 in Communications in 2014, she worked as a photographer for weddings, special events, churches, and (her favorite) a zoological institution. Storying people, places, and the Vineyard movement through photography has been a great privilege and place of transformation in her life. 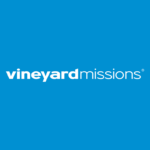 To learn more about Vineyard Missions, click here.